Welcome to the hustle and the neon lights! 5 days in Tokyo is plenty of time to hit the top places despite the massive size of this city. We first visited Tokyo in 2015 and spent 5 days there. 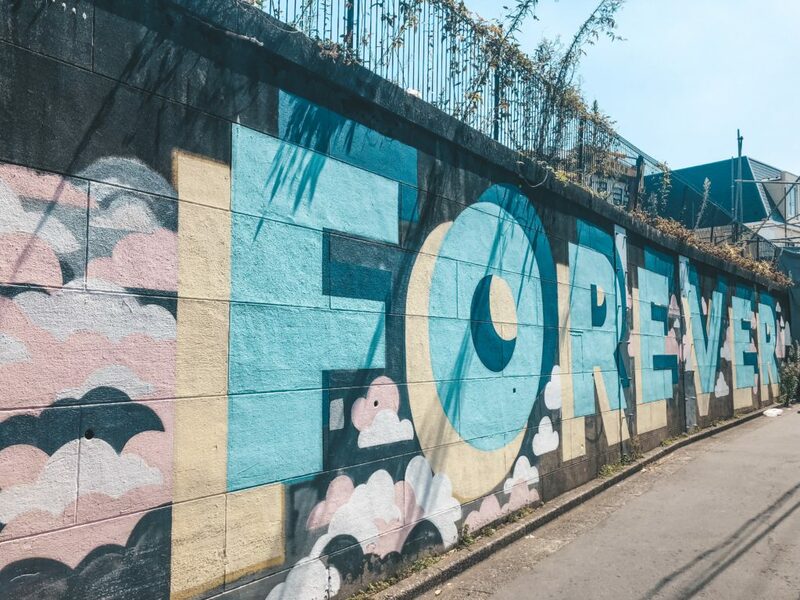 We returned in 2018 and decided to spend 9 days in order to find the best places to visit in Tokyo to better complete this itinerary. 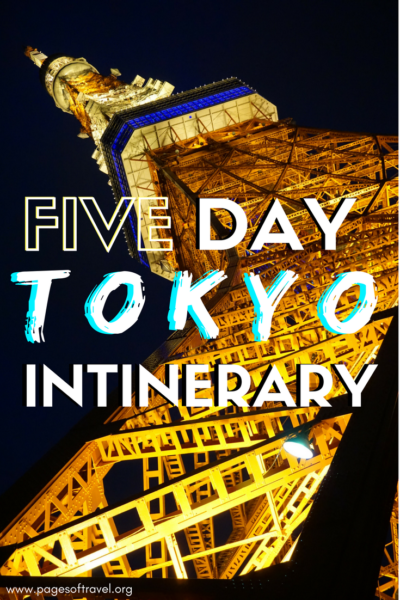 Our 5 days in Tokyo itinerary is completely customizable so feel free to switch around the days or activities to best suit your travel needs and experience! Tokyo is HUGE. I’m pretty sure that even if you lived here you could never see or do it all. Because it is such a large city, planning your 5 day Tokyo itinerary in a logistical sense is EXTREMELY important. On our first trip to Japan, Tokyo was our last stop and we didn’t plan as extensively as we did for other cities we visited in Japan. Thus, we wasted A LOT of time on trains, searching for places to eat, and more places to go. After visiting Tokyo for a second time we decided to completely revamp this 5 day Tokyo itinerary to make it more easy to manage. While most people know about the Japan Rail Pass for traveling around to various cities in Japan. But the JR Pass isn’t necessary to activate if you’re planning to spend 5 days in Tokyo or really, regardless of how much time you choose to stay in Tokyo. Instead, consider using a subway pass and IC card for your Tokyo itinerary. If you plan to be in Tokyo for a few days we highly recommend looking into a Subway Pass they are inexpensive and a time saver. 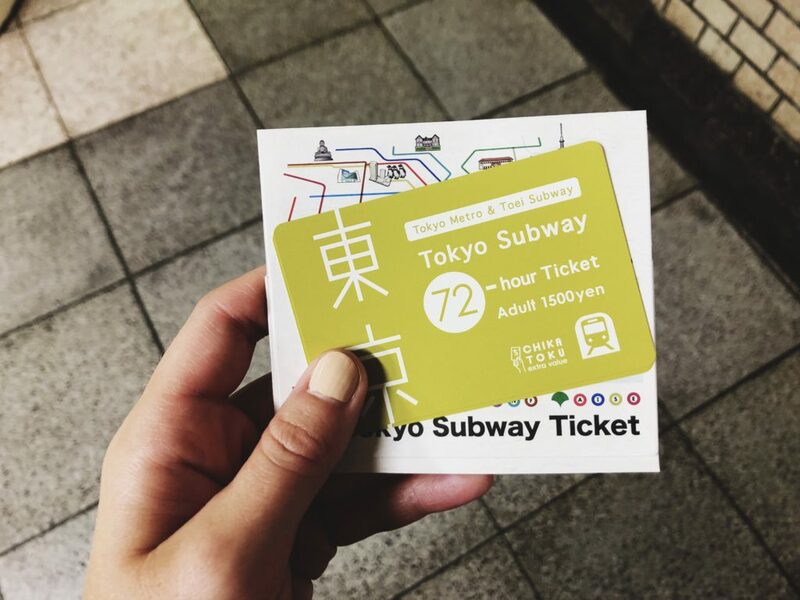 The Tokyo Subway Pass works on the Tokyo Metro and the Toei Subway for 24, 48, or 72 hours. You can easily pick them up at many hotels, BIC Camera, or Tokyo Metro Stations. To use the subway pass you’ll simply insert it inside the ticket slot at the automatic ticket gate for the subway. Upon leaving the station you’ll insert it again. Make sure you grab it each time you use it because it’s good for the entire time period you purchased it for! Instead of purchasing tickets each time you ride public transportation, get an IC card to easily swipe in and out of the station. IC cards are prepaid rechargeable cards that can be used all over Japan and even used at some restaurants, stores, and vending machines. The cards that you can buy in Tokyo are the Suica and Pasmo cards. While they can be used in any of the places previously mentioned, they can only be returned for your deposit fee at certain locations in JR East or Tokyo depending on the card. Really there is no bad time to visit Tokyo because there is something to enjoy in every season. In spring there are the beautiful sakura trees that line the streets and bloom, in summer there are countless festivals, in autumn there is the fall foliage to enjoy, and in winter there are beautiful snowy streets at times mixed with winter activities like ice skating, holiday decor, and more. Regardless of which time you choose to visit Tokyo, you’ll surely enjoy it. But I would recommend that you avoid visiting during Japan’s Golden Week (held in late April-early May) and keep in mind that visiting during sakura season (usually mid-March-early May) will be busy as well. You may notice while going through this itinerary that we don’t have many breakfast spots listed, this is where convenience stores come in. During our three months in Japan we got most of our breakfasts (sometimes even lunch or dinner) at 7Eleven, Lawson, or FamilyMart (three of the most popular convenience store chains in Japan). You can get items like, onigiri (rice ball), coffee, fresh fruit, yogurt, pastries, or a number of other items for a quick, inexpensive breakfast. 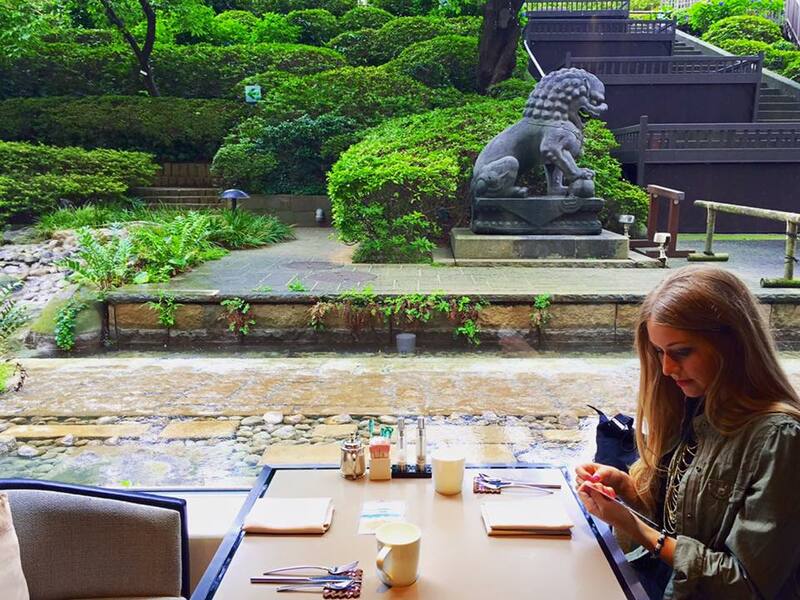 The beautiful garden view at breakfast at Prince Sakura Tokyo Tower. 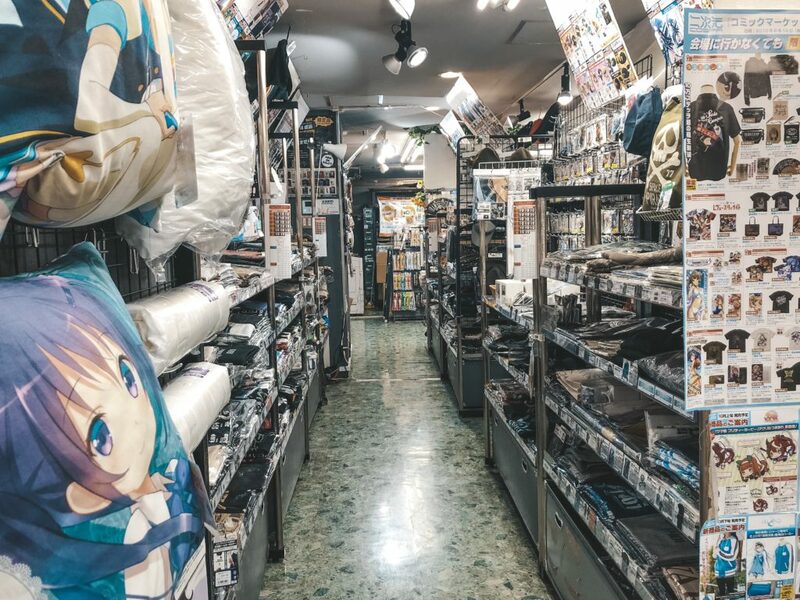 Tokyo is a vibrant city full of friendly people but it can be intimidating at first, especially when looking for the best places to stay in Tokyo. Now we have stayed at three different hotels in all different areas for each of our Tokyo itineraries. The first being, The Prince Sakura Autograph Collection Marriott Hotel. The rooms were spacious, the hotel was elegant and classy, and the location of the hotel was convenient as it was only a block or two away from Shinagawa Station. The room itself was Westernized and large, it had a comfortable king-sized bed, excellent bathroom with a large shower and a jetted tub, and many extra amenities are provided. Our favorites being the mini refrigerator with mini-bar, fruit basket, and toiletries. Breakfast was free of charge with platinum status or ¥3500 per person otherwise. For the Western breakfast, they provided eggs served to order, pastries, fruit, salad bar, french toast, waffles, etc. They also had a Japanese-style breakfast which served fish, vegetables, miso soup, etc. Another place we stayed for during our time in Tokyo was the Park Hotel Tokyo. We had heard a lot about this hotel because of its popularity with Western tourists and the modern luxury artistic rooms that you can book as well. 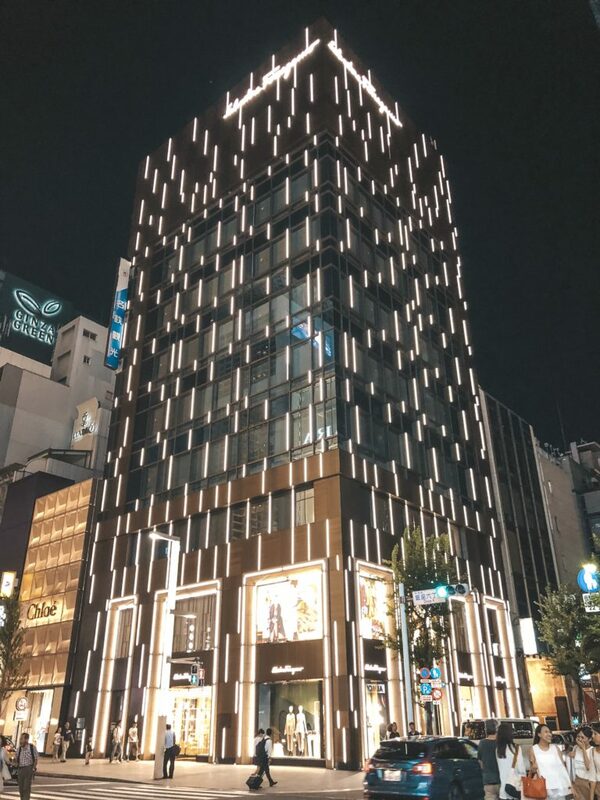 Overall our impression was that while this was a nice luxury hotel, it needed some upgrades and we enjoyed our stay at The Price Sakura more considering the price of the two were the same during the times we booked them. 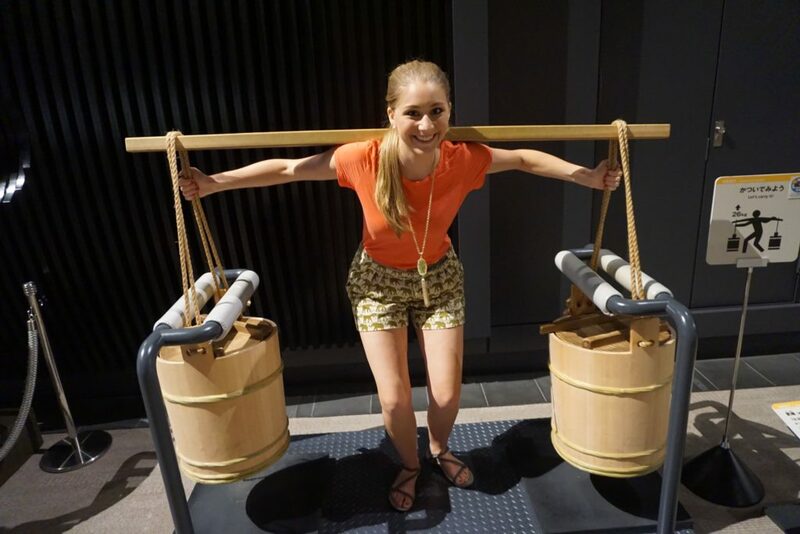 You can easily walk to the subway station by taking the elevator inside the Park Hotel Tokyo to the bottom level, however, you will have to walk a short trek underground in order to get to train or subway station of your choice. It wasn’t too bad, just a lot more walking than some of the other places we have stayed so that is something to keep in mind should you consider using trains and subway as your main form of transportation in Tokyo. 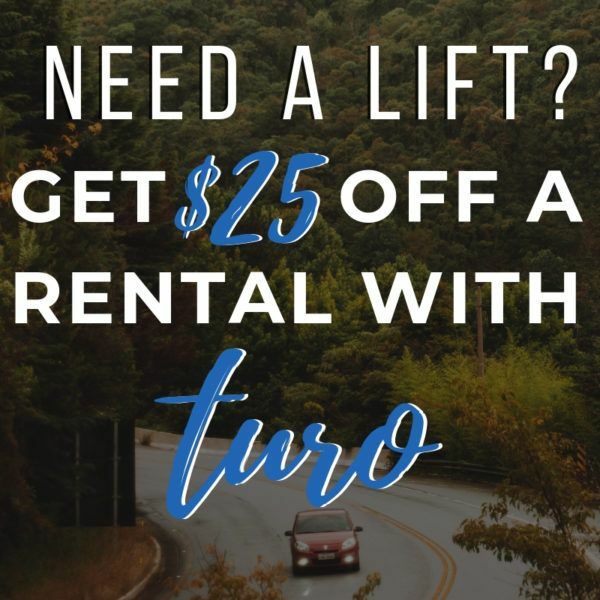 However, you can also call an Uber or Taxi from the hotel to get to your next destination (it’s just significantly more costly). The last place we want to include in this 5 day Tokyo itinerary that we have stayed is the Mitsui Garden Hotel Gotanda. This hotel was brand new as of spring 2018 and we got an absolute steal on the price per night because of it being a new hotel (I’m sure that prices might jump up after the word is spread). The location was not a place that most travelers in Japan would go to, but it made it nice to get away from the crowds and it was conveniently located on the Yamanote line. There was also a Lawson (convenience store) in the downstairs of the hotel parking garage which was SUPER handy if you needed a snack or drink. Overall this was our favorite out of the three places we’ve stayed considering the price and location. Needless to say, there are many places to stay in Tokyo as a first-time visitor. It all depends on what style of hotel you are looking for and the neighborhoods in Tokyo that you plan to spend the most time. 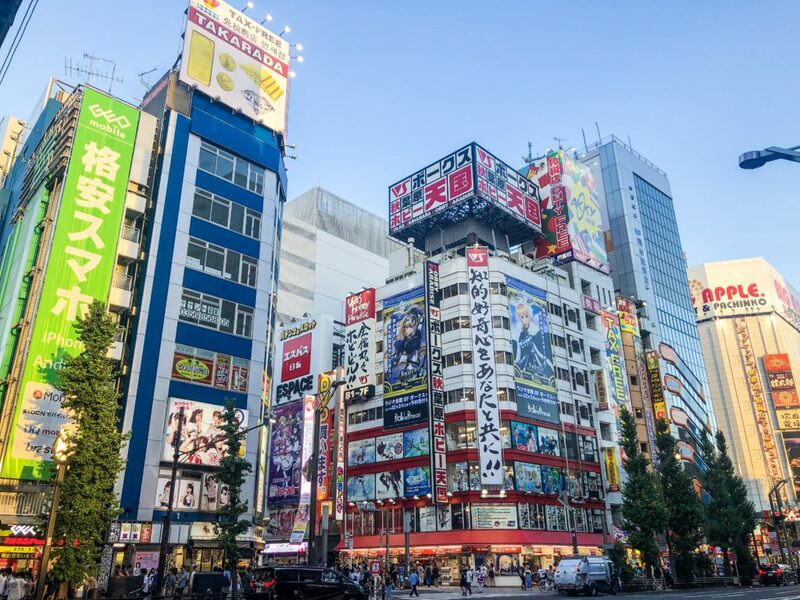 Typically, we’ve seen that most visitors prefer to stay in Shinjuku or Shibuya areas of Tokyo, but we have always liked to stay a little further out in order to be in a “less busy” area to head “home” to. 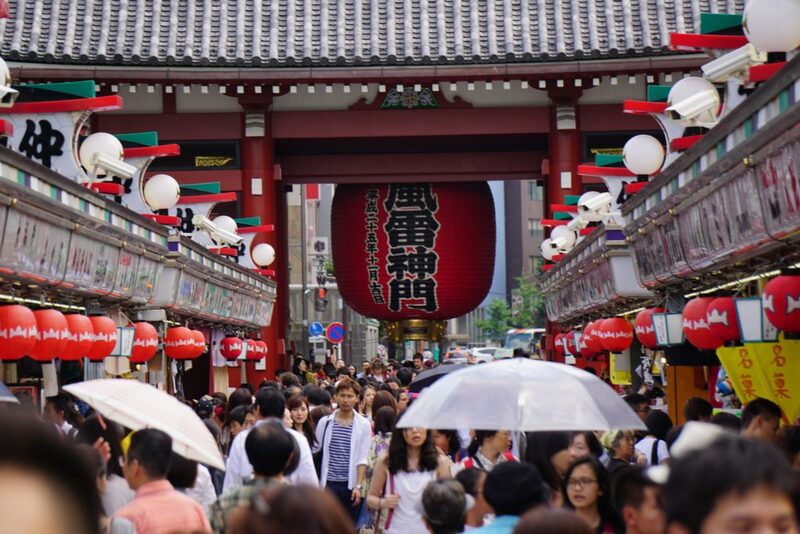 What better way to start your time in Tokyo than to visit one of the most iconic neighborhoods? Shibuya. Shibuya has tons of shopping from specialty stores to department stores. There is the infamous pedestrian scramble located right outside the train station. Harajuku is just around the corner with its wild desserts and cosplay outfits. 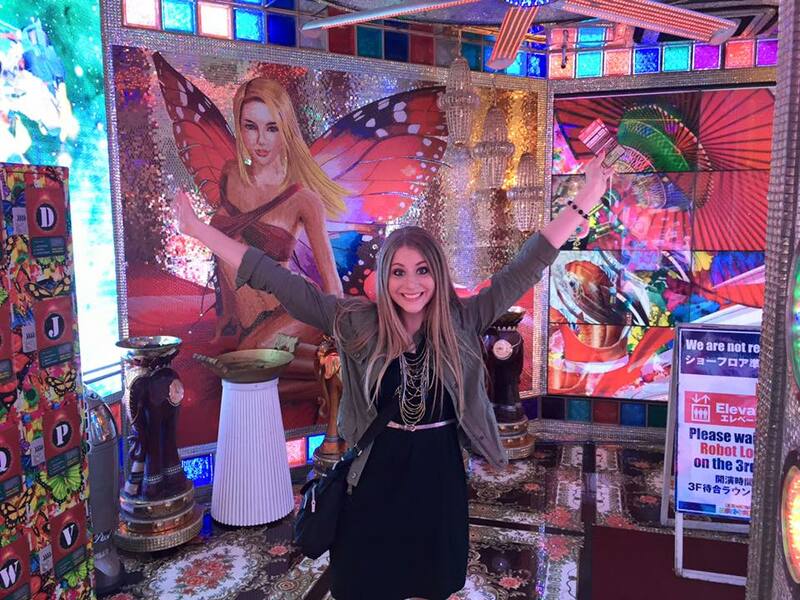 There is also fantastic nightlife here and you can book a shopping tour of Harajuku as well. Start your day off with a special cultural site in Tokyo. The walk around Yoyogi Park was delightful on a cloudy day we decided to visit Meiji Jingu. We stopped at the welcome gate and the kind gentleman there gave us insect repellent and gave us directions to the Meiji Jingu. During our visit we were seemingly in a hurry to get to the shrine but we wish that we had taken the time to explore the park further. When we reached Meiji Jingu Shrine we immediately were impressed by the wooden torii gate and temple buildings. Despite Tokyo being such a big city it also has a lot of Japanese World Heritage Sites close by. If you’re lucky you might also get the chance to witness a wedding here (we did when we went on a Sunday!). 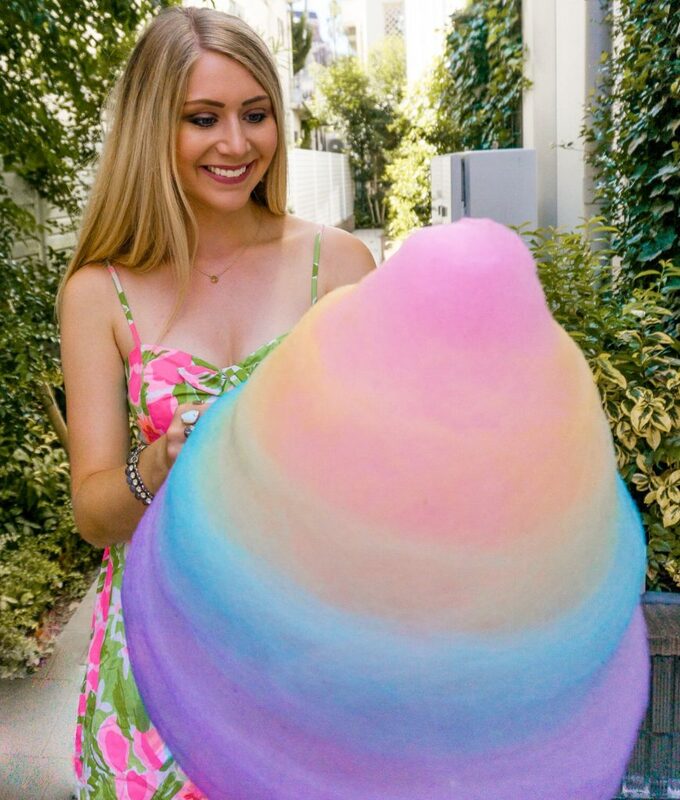 If you’re into cotton candy, Totti Candy Factory will blow your mind! The cotton candy they sell was bigger than our heads and you could actually taste the flavors of each kind swirled together into one sticky mess. 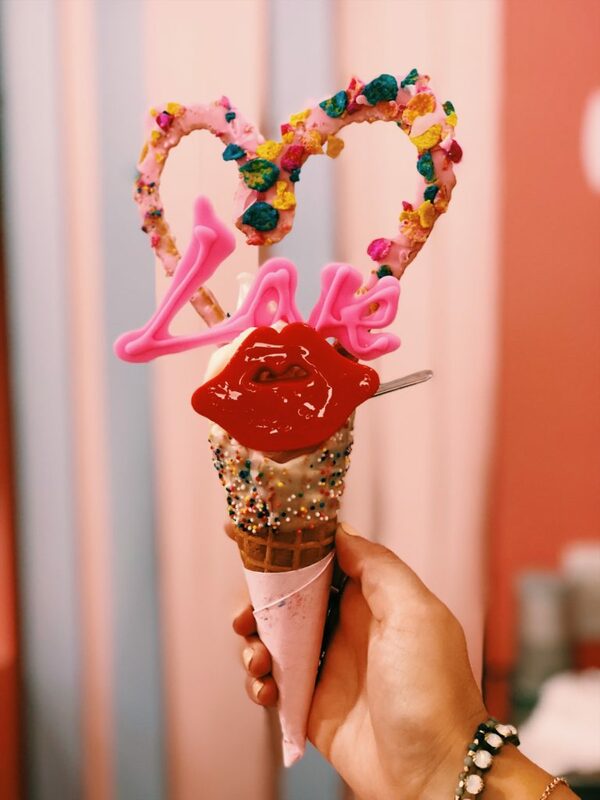 Another option is Eddy’s Ice Cream for one of the most hashtag EXTRA ice cream cones we’ve ever seen. 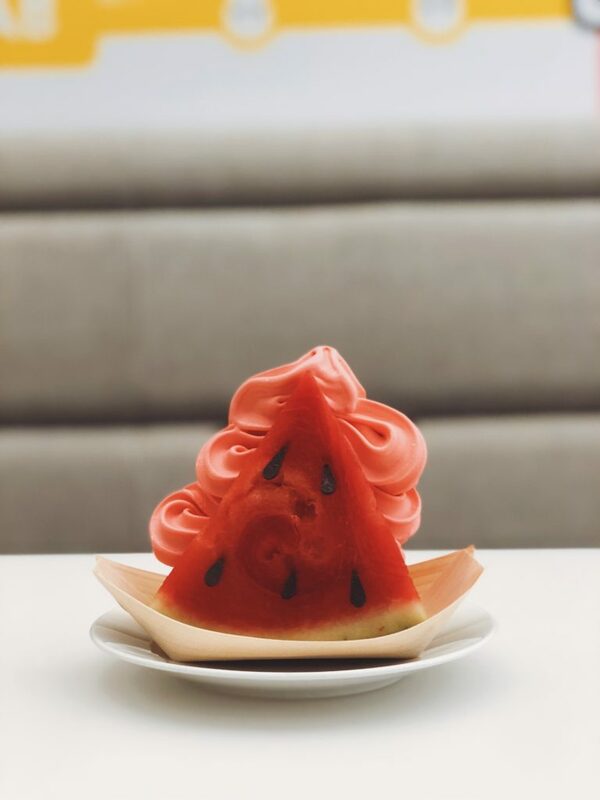 The soft serve is typical flavors like vanilla and strawberry, but it is really refreshing and the cookies and other sweet treats really make it something special. Of course, you can’t leave Takeshita-dori without trying one of the infamous Harajuku crepes. 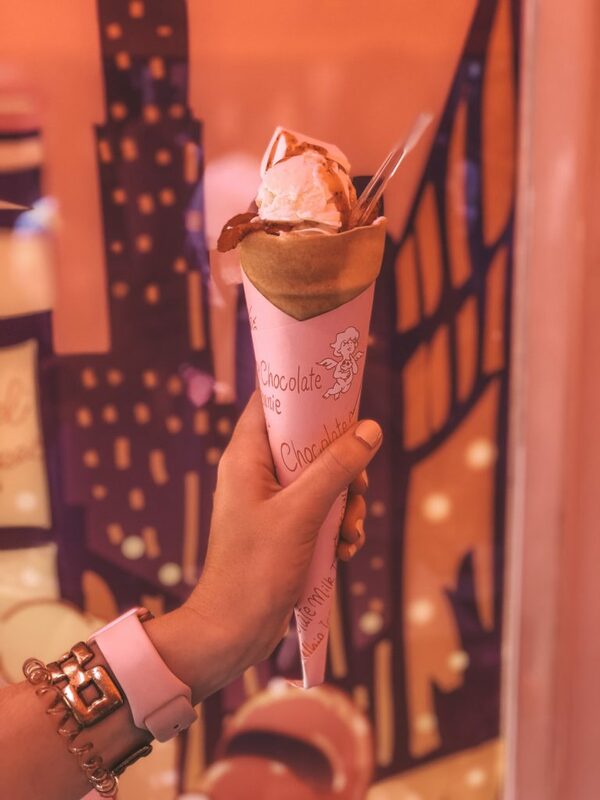 There are a few different crepe stands on the street or in the alleyways so take your pick and try one out. We’ve enjoyed both Santa Monica Crepes and Angel Crepes. 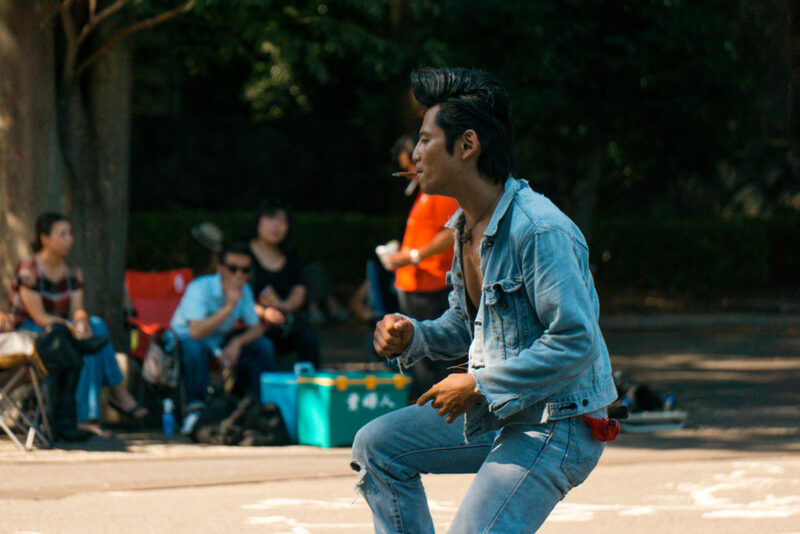 If you happen to be in Tokyo on a Sunday we recommend going to see the rockabilly dancers of Tokyo. These dancers perform every Sunday on their own schedule outside of the entrance of Meiji Jingu shrine. Since they don’t have a set “performance schedule” you’ll have to play it by ear, but we arrived around 2:00pm and saw they were getting ready to start dancing. 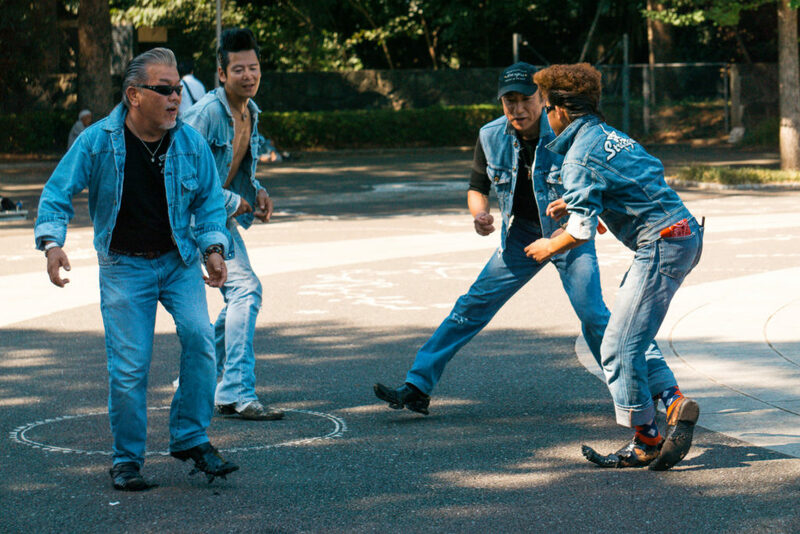 The group has been meeting here for over 30 years and are trying to keep the rebellious rockabilly culture alive. 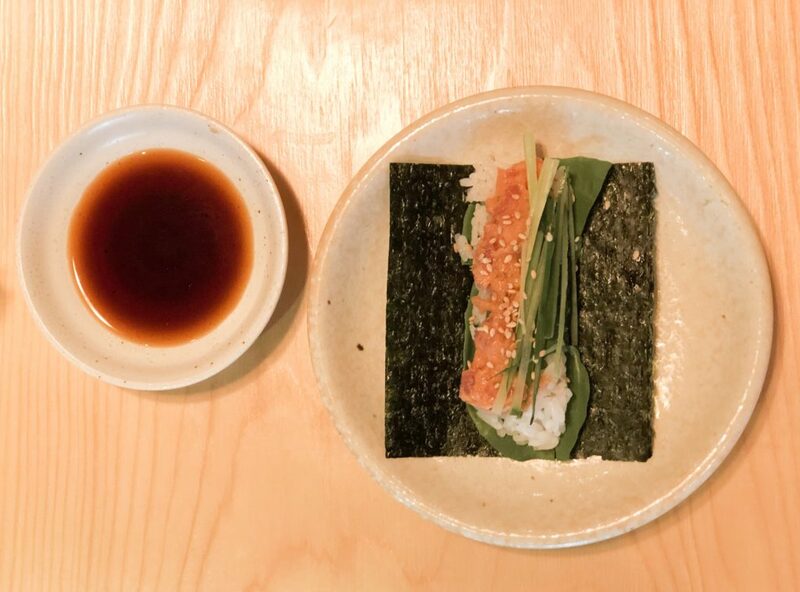 After eating so much sugar you might need to find some REAL food and we have just the place, Gonpachi Nori-Temaki. Gonpachi Nori-Temaki is a hand roll sushi place. All of the seating is at a circular bar area and you can select off a Japanese/English paper menu which hand rolls you want. You can always order a couple then get a new sheet to order a few more! Each hand roll was less than 800 yen and we had 3-5 each to fill us up. Pssst, fun fact, the owners of Gonpachi Nori-Temaki also own the restaurant where the infamous fighting scene in Kill Bill was filmed. After lunch at Gonpachi Nori-Temaki you’ll head outside and notice that this area of Harajuku has some upscale shopping. The Tokyu Plaza Omotesando is a popular spot to shop and also see the mirrored glass staircase that has been featured in many photos! 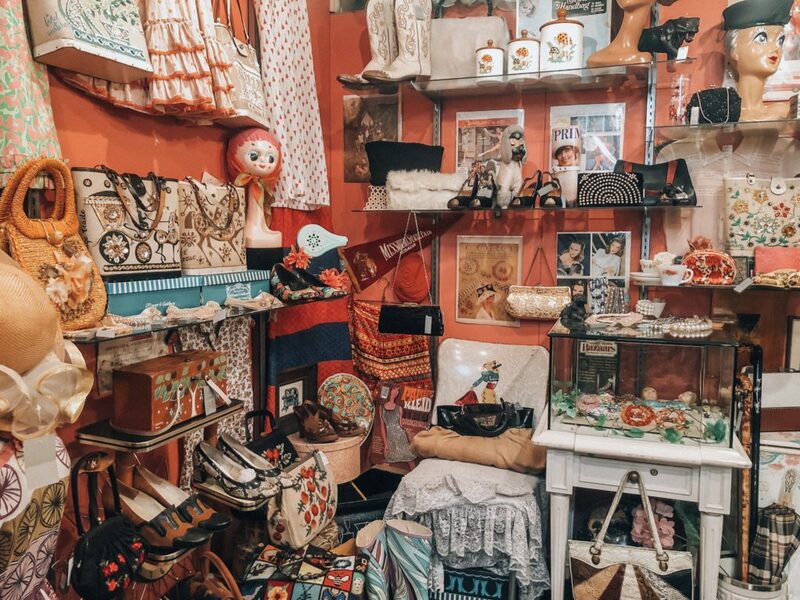 If you’re into thrift stores this area will be a haven for all things quality vintage. 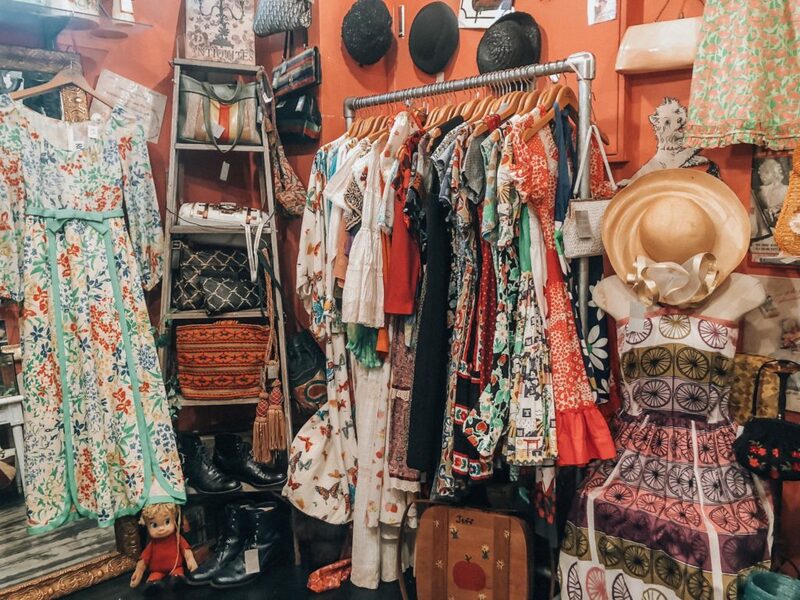 A few of the best upscale thrift store shops in Shibuya include G2, RAGTAG, Pass The Baton. Pass The Baton is even where many celebrities donate their items to sell! As if you didn’t have enough sweets this morning we’re now recommending a bakery but it’s not just any bakery. Dominique Ansel Bakery is famous around the world for its pastries so even if you aren’t interested in eating one right now, you might consider getting one for later or coming back here on another day. We got the infamous watermelon ice cream sandwich which is only available during the summer. To our disappointment, the flavors weren’t very good, do yourself a favor and stick to what this bakery does best – pasteries! This picturesque intersection of Shibuya has been featured in a lot of films in recent years and is a popular area for shopping and dining. 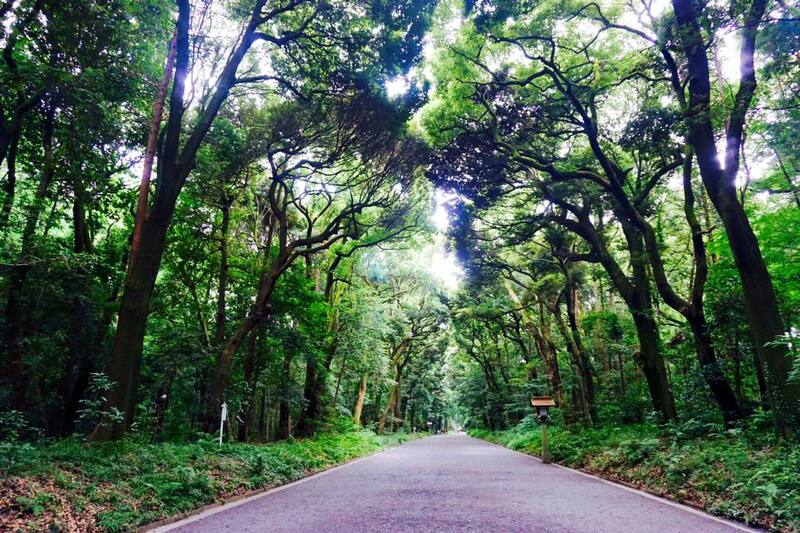 Your 5 days in Japan wouldn’t be complete without a visit to this crazy street. Honestly, we stopped and watched the spectacle for quite awhile, it’s amazing how synchronized everything was at this busy intersection. 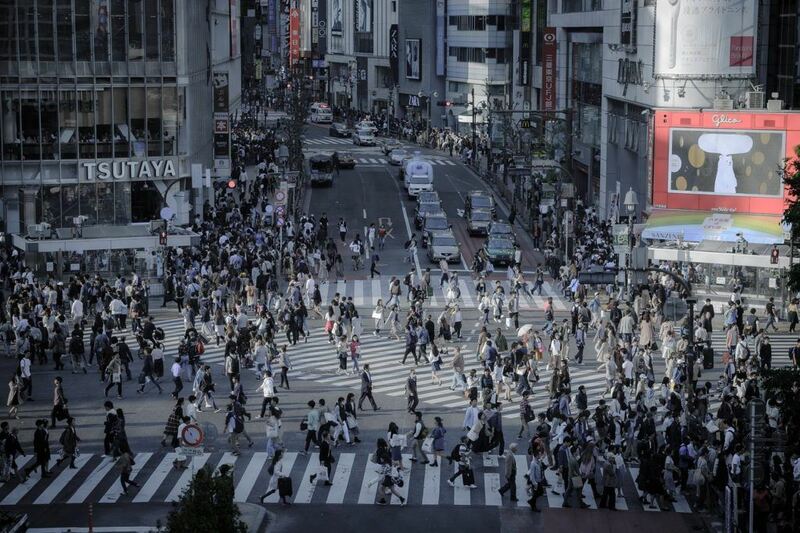 We recommend being a part of the scramble at least once (I mean, when in Tokyo right?. But if you want a bird’s eye view you can also look out from Shibuya Station. 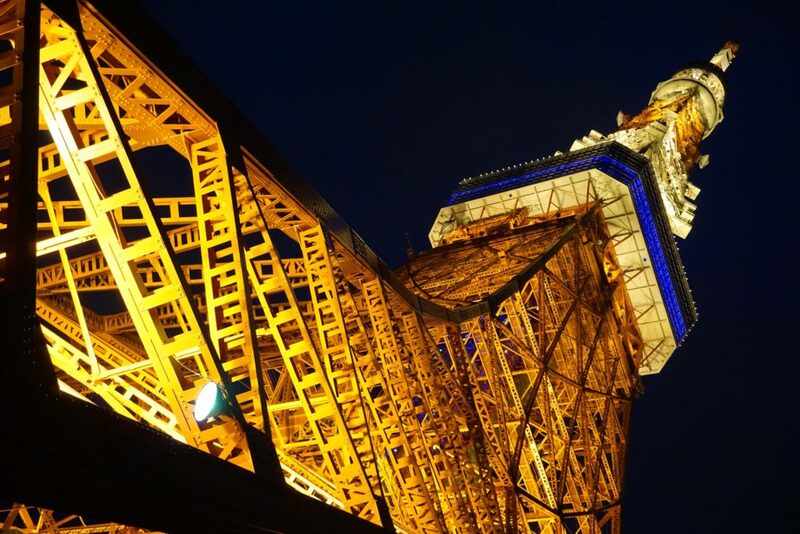 Tokyo Tower is just one of two iconic landmark towers in Tokyo, the other being the SkyTree which you will visit later on in this Tokyo itinerary. 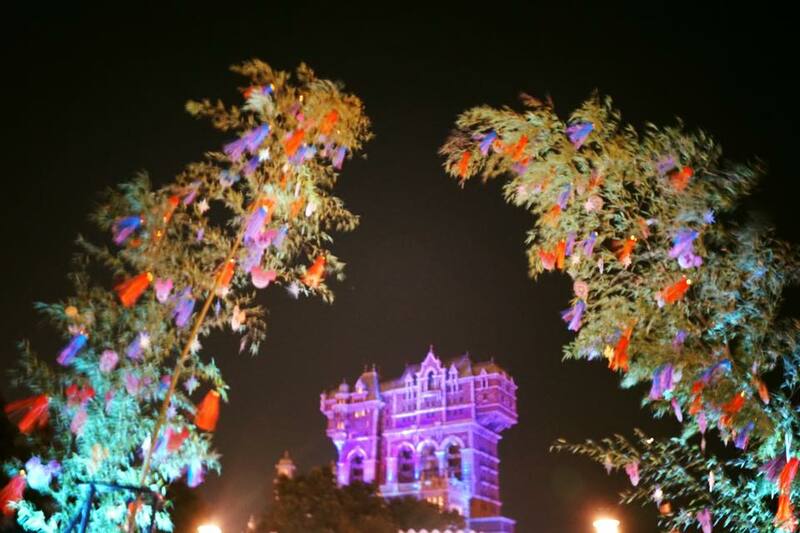 It is simply stunning to view at night time which is why we saved this for the last attraction of the day. While you can pay to go to the top of the tower, we opted to view it from below and visit the main level gift shops (we wouldn’t recommend buying souvenirs here as they are more expensive than some of the other places you’ll visit in this 5 day Tokyo itinerary). We first went to Tsurutontan when we visited Osaka not knowing that this restaurant was a chain in Japan. We loved it so much we ate there again when we came back in 2018. While we were in Tokyo for a second time I saw Tsurutontan listed as a top rated restaurant in a few different locations in Tokyo and had to find out if it was the same udon noodle restaurant we loved so much in Osaka – it was! Although it is somewhat of a chain restaurant, which we tend to avoid, we LOVE this place. The udon noodles are freshly cut, the broth is perfectly flavorful but light, and they have a variety of soup add-ons or options. They also have sushi, steak, and other menu items for those that aren’t in the mood for noodles, but we recommend you go for what they’re known for. If you’re REALLY hungry, no problem… you can order a double or even triple portion of udon noodles for no extra charge! 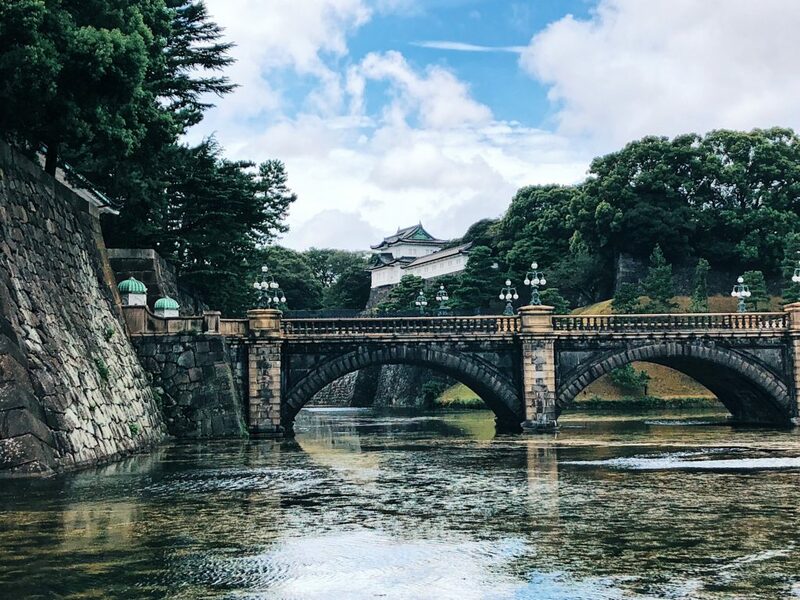 Since the Imperial Palace is somewhat out of the way from other main attractions, we felt it was best to visit here in a morning then head over to another area of Tokyo for the rest of our day. But it’s also a really pretty viewing spot for fall foliage or sakura in the spring. While you aren’t able to visit inside the palace you can go towards the Nijubashi Bridge in front of the main entrance for a nice photo spot and viewing location. The Tsukiji Fish Market is one of the most iconic places in Tokyo and is one of the largest fish markets in the world. 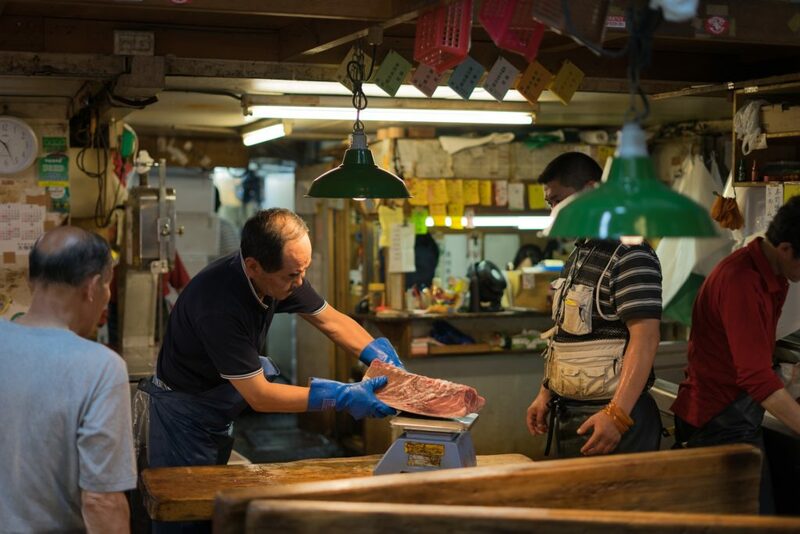 We visited the Tsukiji Market when it was still at the original location and scouted for some fresh sushi around 10:00AM. Though we didn’t visit the market in time for the auctions (we heard you have to arrive around 2am to get a spot), it was still worth a visit to see this infamous place. 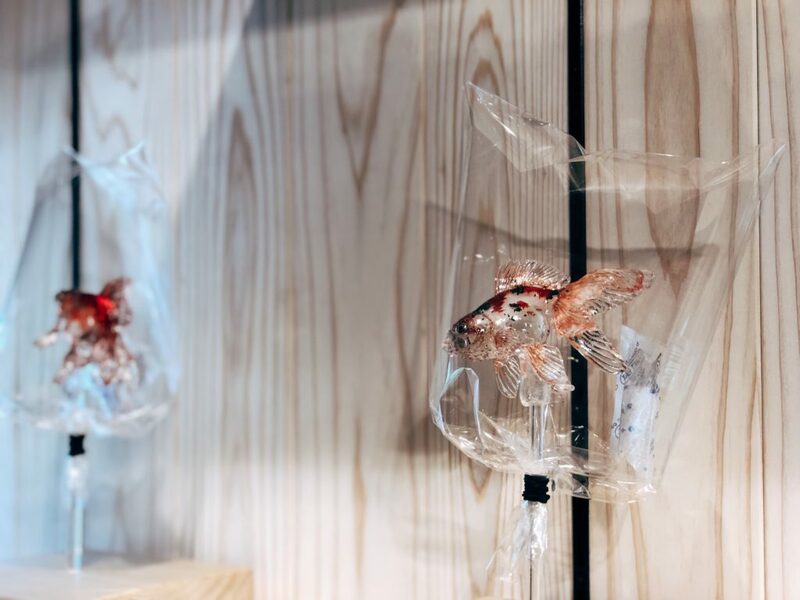 You should also know that as of October 2018 the Tsukiji Market moved to its new location at the Toyosu Market. While we haven’t visited the new location, we found a fun tour if the market you could consider. The Nakagin Capsule Tower is a fascinating piece of architecture with an even more interesting story. It was completed in just 30 days in 1972 and was designed to be a residental housing and office building. The building has 140 capsules measuring 8ft x 13ft! There are only 30 that are still occupied due to disrepair and cramped living quarters. Though there was talk about taking the building down, the residents vetoed that decision and have decided to raise funds to restore the building to preserve its architectural history. Though you won’t need much time here, it’s worth a stop while in the Ginza area. If you’re looking for upscale, luxury shopping then Ginza has it all. Hermes, Louis Vuitton, Chanel, Cartier, and more – it’s definitely for the big spenders out there! We enjoyed window shopping for a short while at all the fun places and seeing the glitzy architecture of the buildings. Kanda Matsuya has been around for over 100 years and their tried and true soba entrees will definitely entice you. 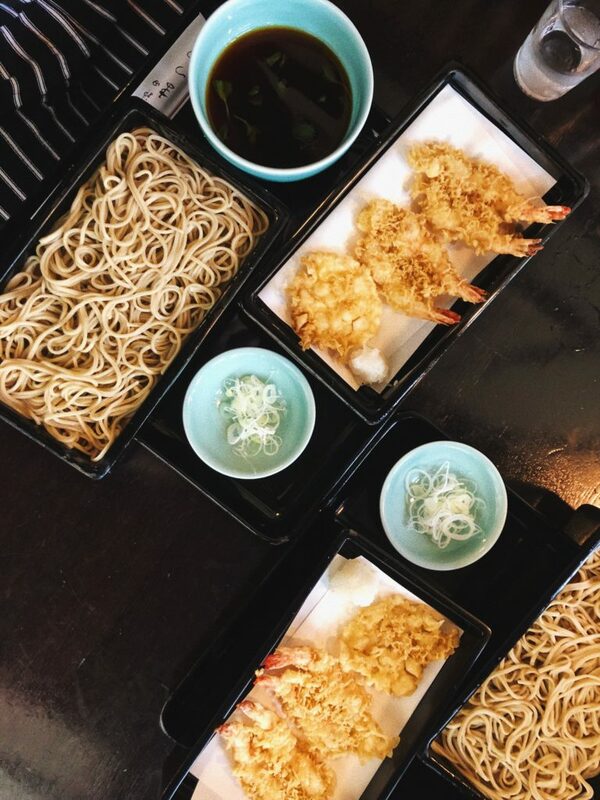 We decided to try a soba set that came with tempura shrimp and squid. The dipping broth was unique and had a light citrus flavor which was refreshing on the hot summer day that it was. No trip to Tokyo would be complete without seeing the kooky electric town Akihabara. Yes there are tons of used and new electronics like cameras, computers, gaming systems and televisions. But there is also tons of manga and anime too! There are movies, television series, keychains, tshirts, and other memorabilia. This is also a great place to look for some souvenirs too! We’ll admit, on our first trip to Tokyo we weren’t impressed with Ueno. It felt dirty compared to other places in Tokyo and we felt like people on the Ameyayoko Shopping Street were trying to haggle us more. On our second trip we wanted to visit some of the shrines and temples in Ueno so we decided to give this shopping street a second chance and we’re really glad we did. Although it still felt a little older, crowded, and more dirty, we really enjoyed shopping at some of the stores here and getting some items from the market. I even got a really cool Sukajan (Japanese bomber jacket)! About a 7 minute walk away from Kiyomizu Kannon-do is Toshogu Shrine. 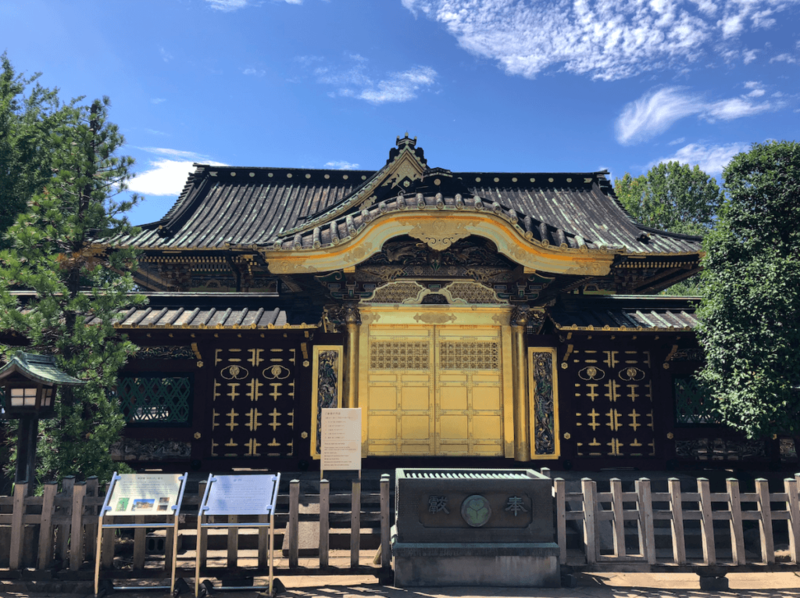 Toshogu Shrine has a beautiful golden door and intricate architecture with carvings of birds and dragons. 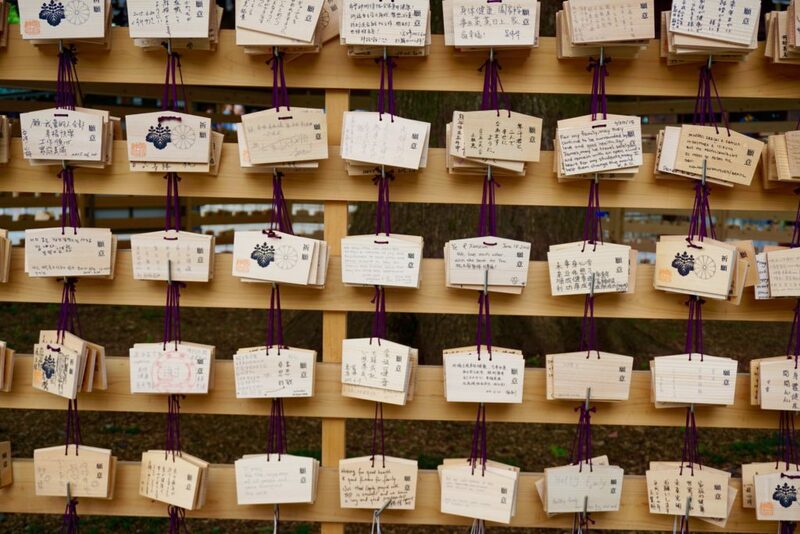 Nezu Shrine is a short distance away from Ueno Toshogu Shrine. Though it’s not Fushimi Inari located in Kyoto, there is a path of vermillion tori gates surrounded by lush greenery at this shrine as well. 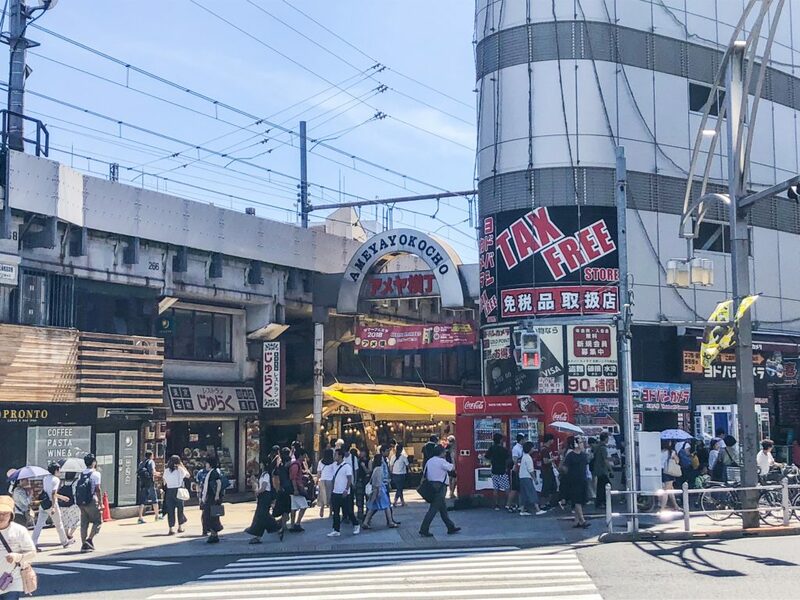 Before you dive into the beautiful corners of Asakusa, the entertainment district of Tokyo, pop on over to Asakusa Tsurujirou for some lunch! Asakusa Tsurujirou is a restaurant that serves up delicious okonomiyaki and other menu items. 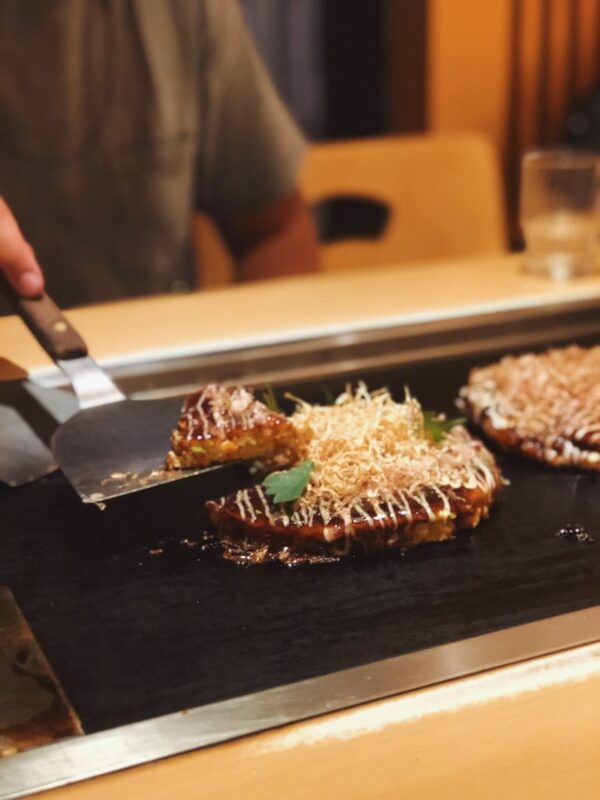 Okonomiyaki is basically a Japanese savory pancake made up of cabbage, vegetables, meat and/or seafood and occasionally noodles. It is topped with a sweet and savory sauce with a few other toppings depending on the style of okonomiyaki you get! We ordered a vegetarian option and the traditional style with pork. Although Nakamise Shopping Street gets EXTREMELY busy its well worth the hype! There are tons of souvenior stores, cafes, restaurants, and not to mention the alluring smell of incense on every corner. 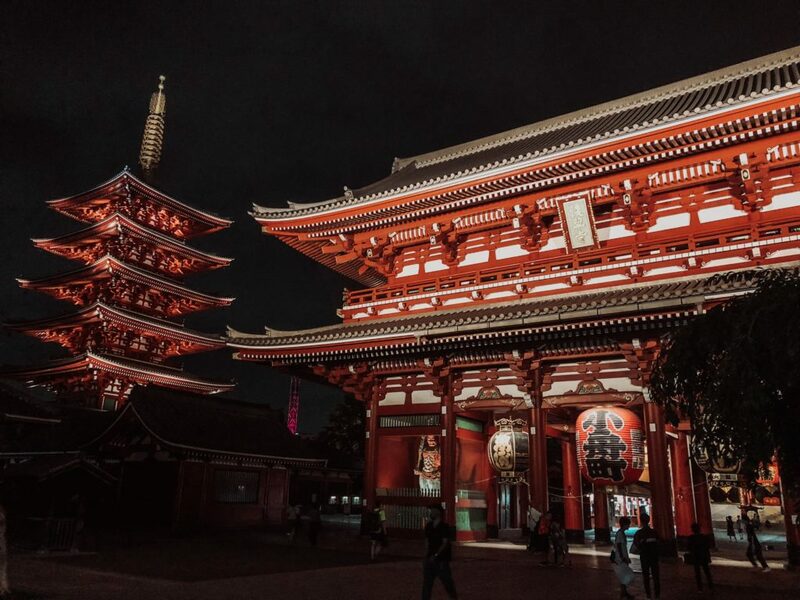 If you’re pressed for time during your 5 days in Tokyo or if you have a shorter time to visit Tokyo one place we feel you cannot miss is Asakusa. While in the area make sure you stop by Amezaiku Ameshin, a store that sells pretty sugar candy lollipops that would make a great gift. They also have workshops you can take to make your own! 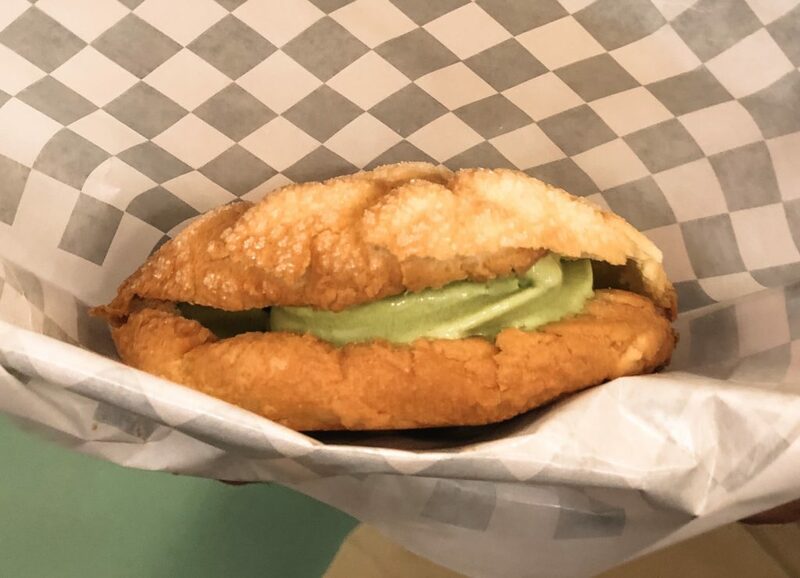 Another favorite is Kagetsudo a melon pan shop that serves up fresh melon pan filled with ice cream. Hanayashiki Amusement Park is the oldest amusement park in Japan dating back to 1853. It is also still in operation! There are a number of rides including a space shot, swan boats, and haunted house. You can even rent a motorized panda car to drive around the park. Don’t worry about those amusement park prices because it only cost 1,000 yen to go! It seems like most major cities in Japan have a kitchen town and Kappabashi happens to be Tokyos. Kappabashi offers a unique insight into Tokyo’s restaurant business but also can be a neat place to find souvenirs and honestly just look around. There is a variety of cookware, tableware, and cutlery. But the most prized of all is the Japanese knives, cast iron tea pots, and the fun fake food samples that you see in many storefront windows. 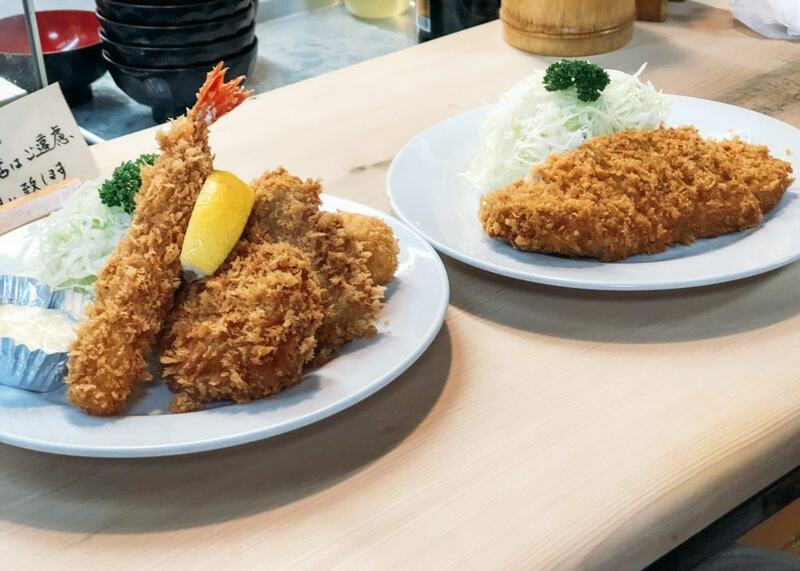 Isen Hontan is a tonkatsu place that specializes in fried pork cutlets, shrimp, and even crab croquettes! They even have pork cutlet sandwiches. We each ordered entrees only which came with cabbage but you can also get a set if you would like soup and rice too. 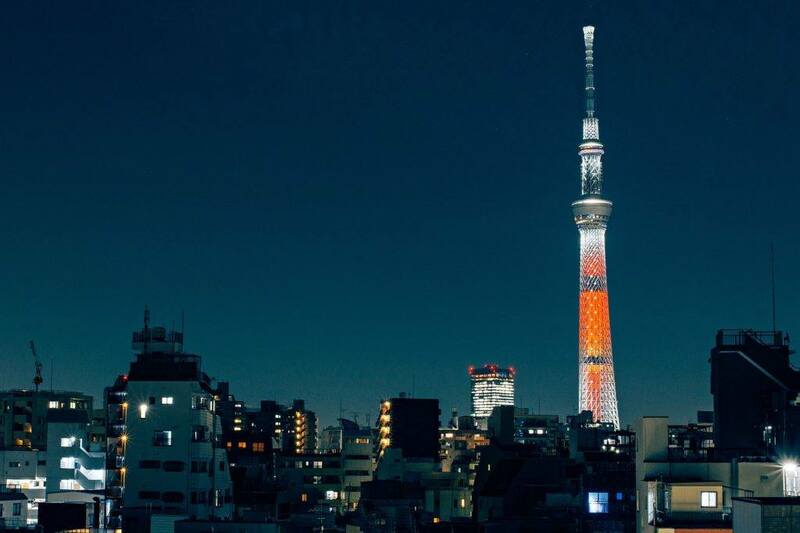 Honestly, if you only had one day in Tokyo, the Skytree would show you a taste of everything. It has shopping, foods from all over Japan, souvenirs and gifts, and an excellent view. We spent a few hours here shopping at the retail stores, sampling the various confections and food gifts, and eating a few “street food” items such as the aburi mochi pictured above. 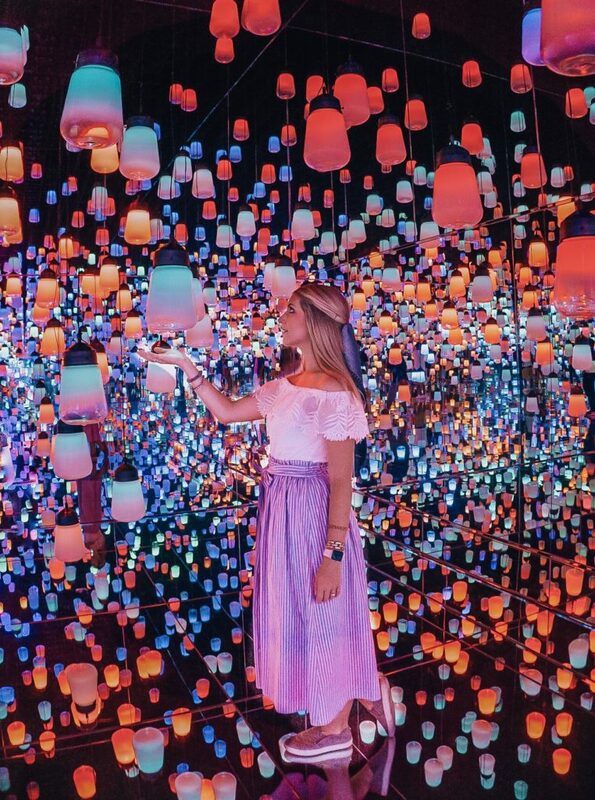 The Mori Digital Art Museum is a new exhibit as of 2018 and it’s unlike any other art museum you’ll ever visit. 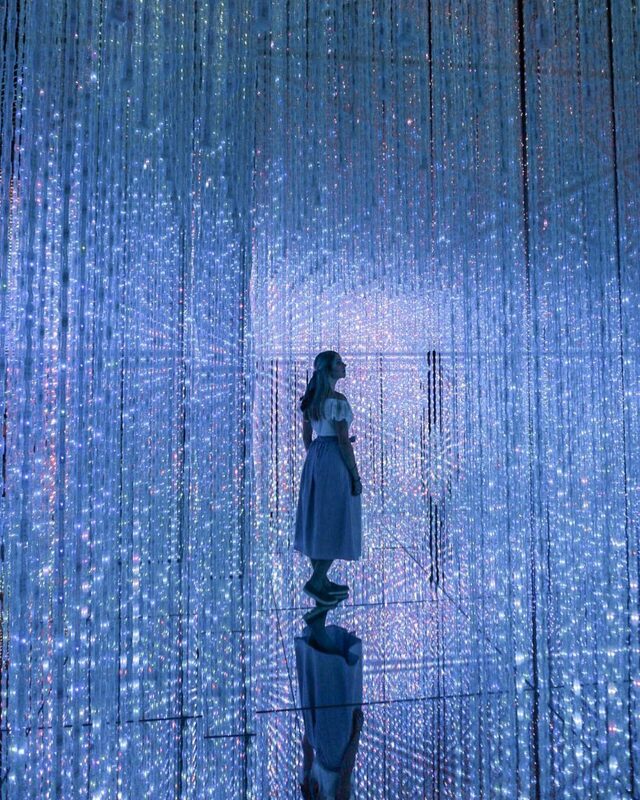 It’s interactive, highly intriguing, and beautiful. We recommend booking your tickets ahead of time if you can because you are not guaranteed a ticket at the door if they are booked. The nice thing is when you do book your ticket you can go at any time during that day. We arrived 30 minutes prior to their opening only to be let inside early so you could go that route. We also heard that things tend to die down a bit around 3pm so you could also schedule your visit around then. We recommend planning anywhere from 2-3 hours at this exhibit. While Eggs ‘n Things was founded in Hawaii, there are no other locations in the United States but there are multiple in Japan! One of them being in Odaiba. 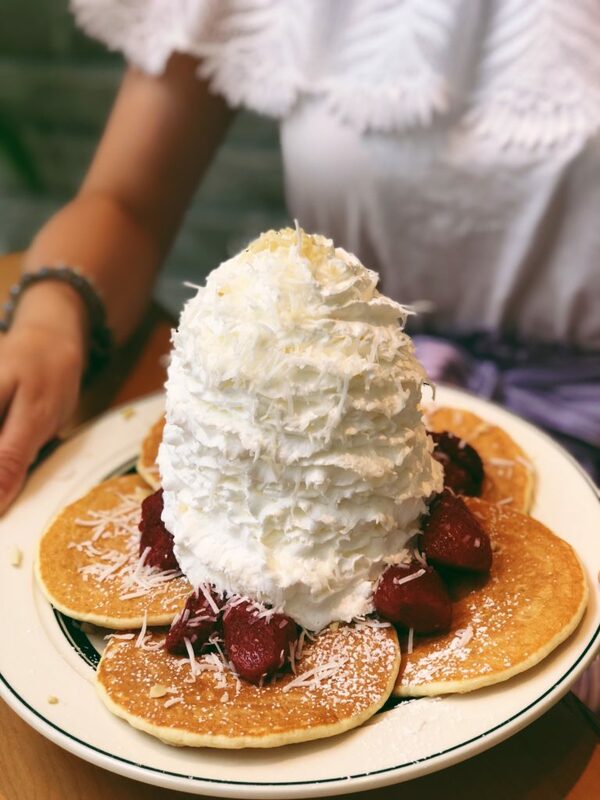 Start your morning off with some of their fluffy, scrumptious pancakes that are topped with a MOUNTAIN of whipped cream. 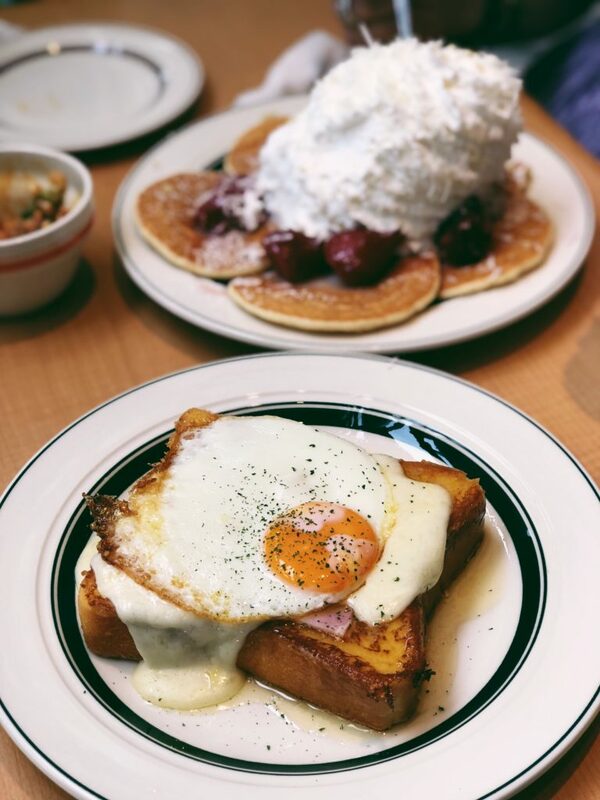 We loved Eggs ‘n Things so much we went to two different locations while in Japan for three months. DiverCity Plaza is one of our favorite places in Odaiba. 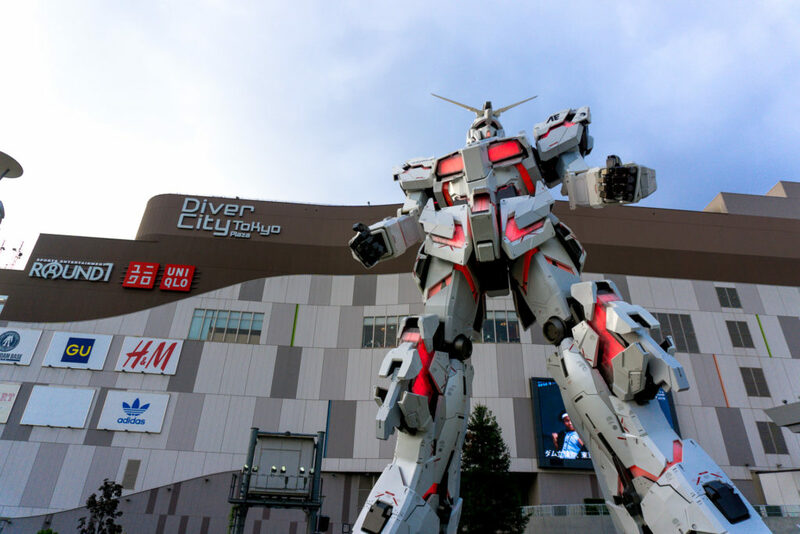 Outside of the plaza is the huge Gundam statue and each hour you can see it come to life! Inside DiverCity Plaza are a huge assortment of restaurants (from casual food court dining to fine dining), specialty shops, and gaming centers. There is even a store completely dedicated to Gundam. 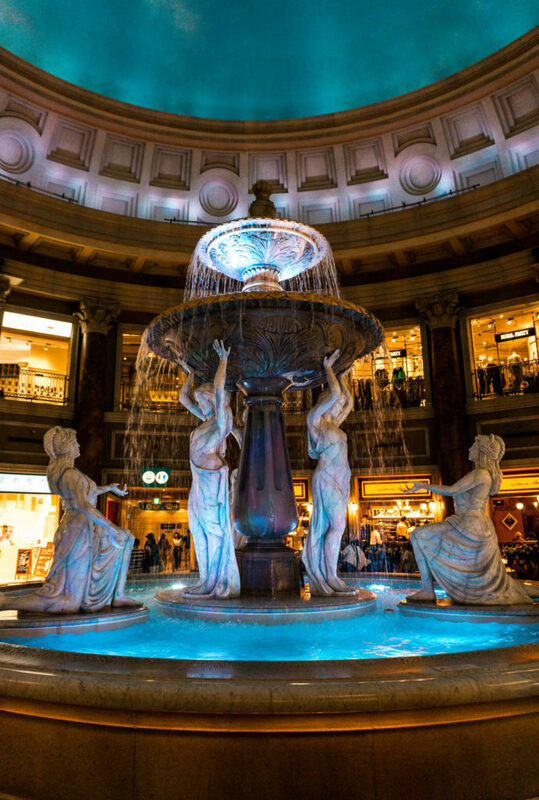 VenusFort is another shopping area in Odaiba that is more like an outlet mall but still offers local goods too. One of the most fascinating things about VenusFort is the architecture inside. We can’t quite put our finger on it but something about the way it’s presented makes you smile. 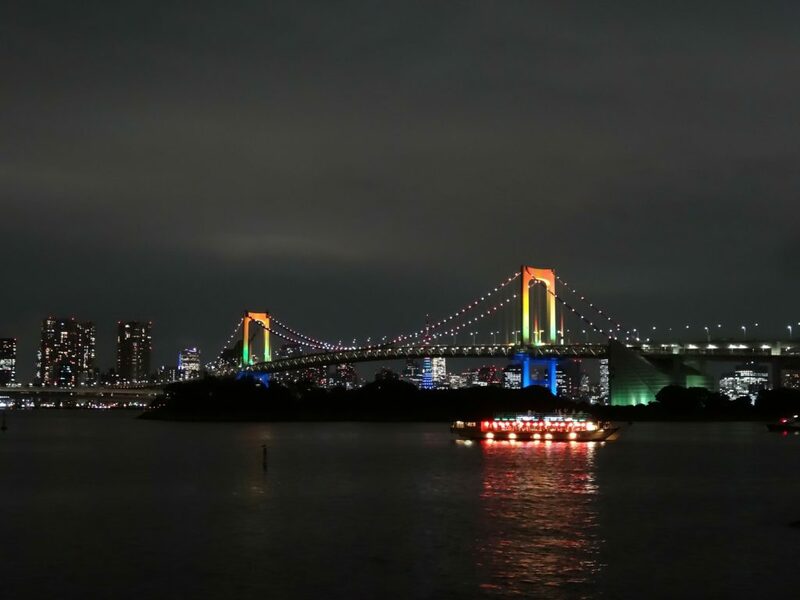 Before heading back into the city make sure you get a glance of the Rainbow Bridge at night. You can easily view the bridge from a number of places in Odaiba like DiverCity Plaza or you can even walk across on the pedestrian area of the bridge. 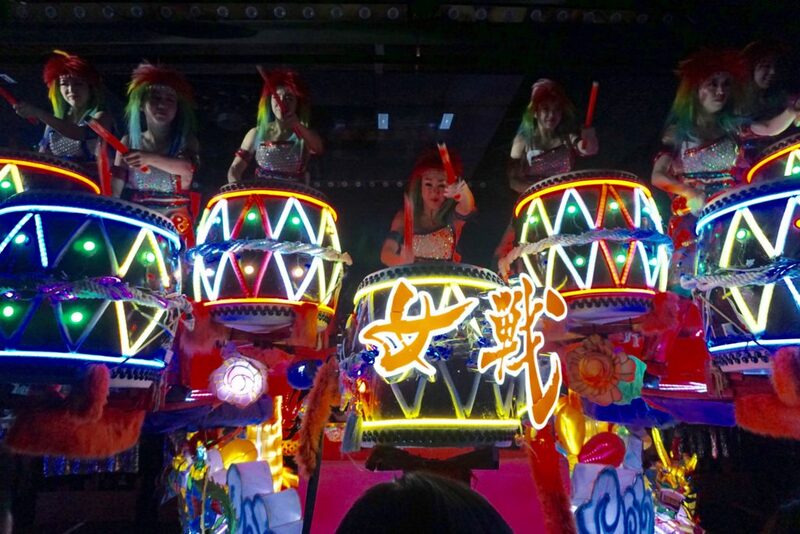 First things first, the Robot Restaurant is not technically a restaurant but more of a show. They do have snacks for sale but you must purchase meal tickets before the show otherwise you will not be able to eat there. We recommend eating before or after the show (see our recommendation for fantastic sushi below). While this is definitely a tourist trap, we really enjoyed it. It’s all the neon you imagine when you think of Tokyo! 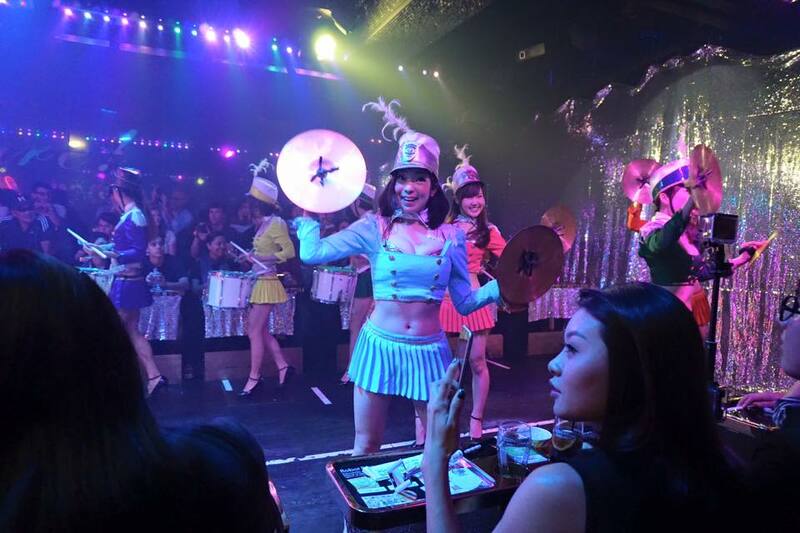 If you think you want to marvel at this event, then go ahead and book your tickets to the evening Robot Restaurant show. It usually sells out ahead of time! 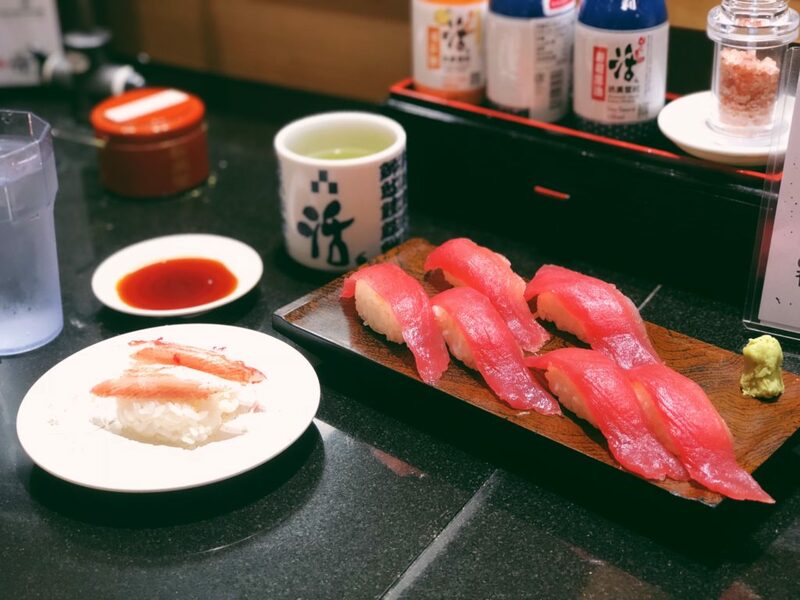 Katsumidori Kaiten Sushi is one of our favorite sushi places in Tokyo! The quality is always fresh and it is inexpensive. The wait is usually long but it moves quickly and we promise it’s worth it! A kaiten sushi restaurant is also known as conveyor belt sushi. The nice thing about conveyor belt sushi is you can try many different things for lower prices. Katsumidori has an iPad with an English that you can order from and also has optioned for cooked or seared sushi items and non-sushi menu items as well. We didn’t plan it this way, but it’s become somewhat of a tradition to visit Disney for the day on our last day in Tokyo. 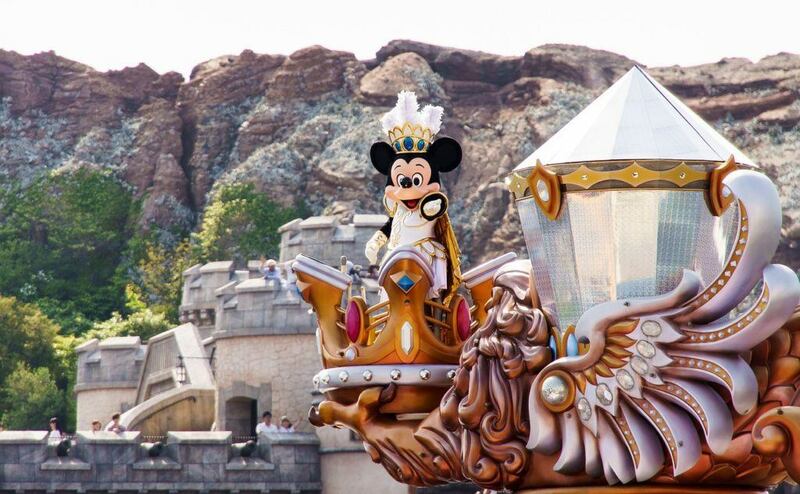 There are two Disneys to choose from, Disneyland and Tokyo DisneySea. 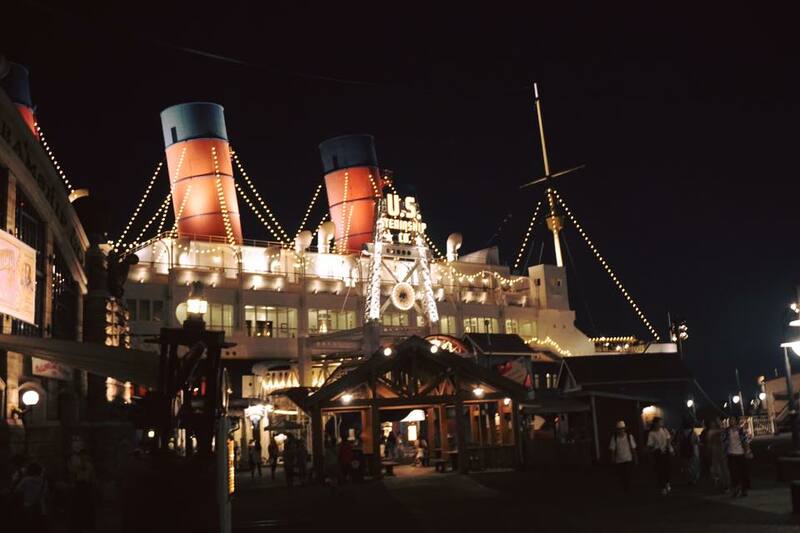 We chose the iconic Tokyo DisneySea because it is unique to Japan and more suitable for adults. Everything from the admission to the food, snacks, and beverages was surprisingly inexpensive here. Not to mention, if you ever wanted Disney souvenirs this is the place for it! We bought Minnie Mouse ears for 1400¥ and they also had some for less. This park was geared more for teenagers and adults. However, it also had a nice variety of rides for children as well. Something else we loved about Tokyo Disney Sea is the fact that you do not have to pay extra for a Fast Pass. 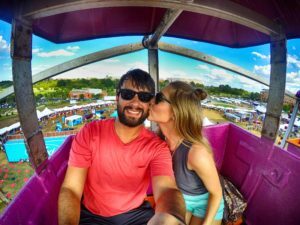 This gives you time to return to the ride and skip the line. We recommend doing the fast pass for the top rides since you can only get one fast pass every hour. While we haven’t eaten at all of the restaurants in Tokyo DisneySea, here are the ones we have been to as well as the snack stands we visited. Zambini Brothers’ Ristorante: This is one of our best restaurants in Tokyo DisneySea and decently inexpensive. We recommend getting the Marguerita pizza which is a decent portion for lunch or dinner. You can also get a side salad or a bowl of minestrone soup. Yucatan Base Camp Grill: Wasn’t our favorite place to dine at in Tokyo DisneySea, but it did have some options that other restaurants didn’t have. We had the smoked chicken accompanied by rice and vegetables which we felt lacked flavor. If we could choose again we would have eaten at another restaurant in the park. Sailing Day Buffet: The Sailing Day Buffet is a more expensive meal at Tokyo DisneySea but there was a great variety of food choices of many different cuisines, it is even moderately vegetarian-friendly. Update: We have now heard that Sailing Day Buffet has permanently closed as of March 2018. Although we haven’t visited it, Magellan’s is another lavish Tokyo DisneySea restaurant that has great reviews. Mamma Biscotti’s Bakery: Mamma Biscotti’s is the perfect place to enjoy a late night snack or dessert before leaving the park. The items change seasonally but we got a chocolate orange cake and latte. Sultan’s Oasis: Definitely get the soft serve ice cream with shaved ice topped with coconut milk. It’s creamy, refreshing, and so yummy! Popcorn Stands: Even if you’re extremely full, another must-try snack at Tokyo DisneySea is the popcorn flavors. You can get a decent size basket for 310¥. We like the white chocolate, cheddar jalapeño, strawberry, curry, and black pepper. In case you aren’t interested in visiting Disney on your last day in Tokyo or you’re looking for a few other things to try. Here are some places we have gone to that are worth a visit! Indoor theme park with food amusement as well such as a gyoza stadium and dessert bar. This is another neat city skyline view building but it also has an amusement park inside. We didn’t visit this planetarium but read some really good reviews about it. 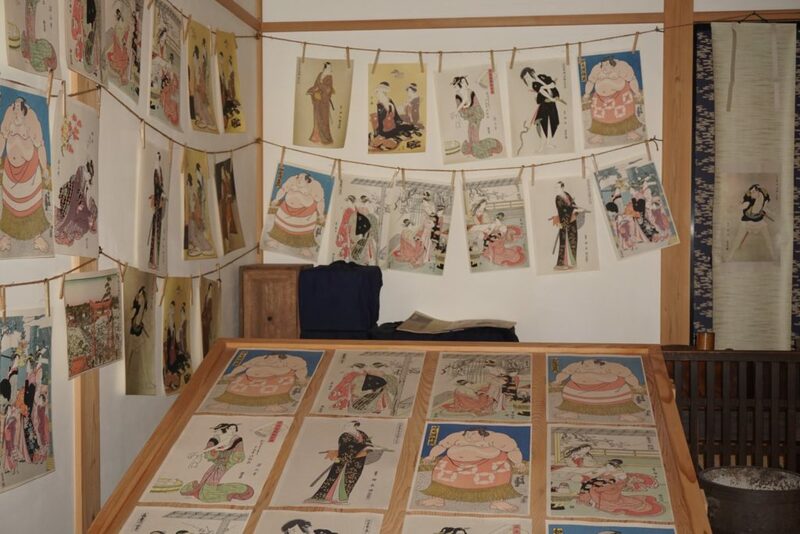 This is a unique cultural experience that grasped what life was like in Japan over many centuries. You could easily spend three hours here and be intrigued by the fascinating walks of life in Japan. During our first trip to Japan we were unable to get tickets to visit the Studio Ghibli Museum. They sell out VERY quickly and you are not able to buy them at the entrance. If you are planning to visit you’ll need to book your tickets three months in advance either at a Lawson Loppi Machine in Japan or on the Lawson Ticket website. There are other places you can purchase Ghibli Museum tickets as well, but they are far more costly and not always legitimate. 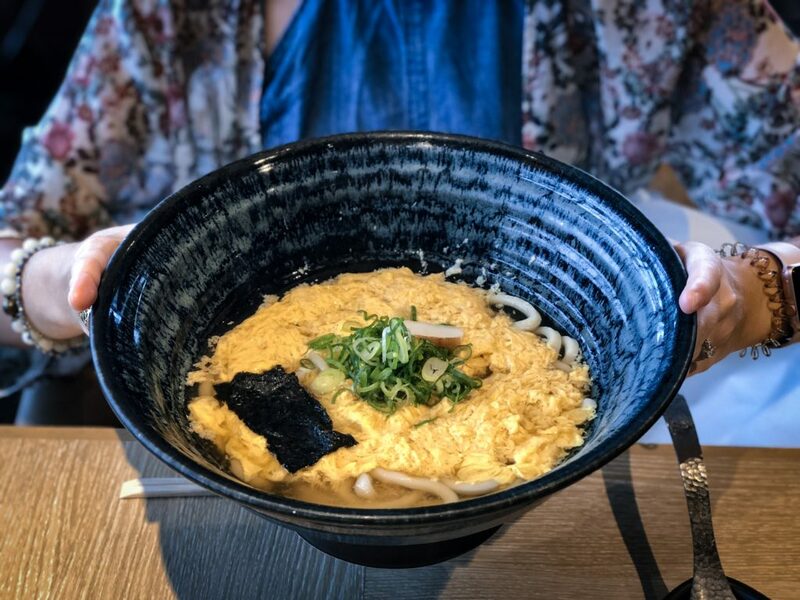 We loved Afuri because it had a variety of ramen choices such as the traditional pork ramen, a halal-friendly chicken ramen, and even a vegetarian option as well. There are a few different branches of Afuri around Tokyo but we visited the one in Shinjuku inside the station. If you think you’ve tried every kind of ramen, think again! The blue ramen from Kipposhi is definitely different. Kipposhi also has other colors of ramen and a squid ink version too. If we’re being honest we didn’t think that the ramen here was anything to write home about. It was more like chicken noodle soup than ramen. But if you’re looking for something unique to try this is a good choice! Alfred Tea is popping up all over Instagram for their pink boba teas! Instead of following that trend, we decided to get a hojicha boba tea which was really delicious (yet overpriced) but hey, the teas and the store are definitely a cute place to visit. On our first trip to Tokyo we searched for these cute donuts EVERYWHERE and every time they were sold out or we couldn’t find them. On our way back from the Studio Ghibli Museum we stopped here to get a few. They’re definitely more for their look than their taste, but we’re glad we tried them. On a quest to find unique ice cream flavors all around Japan we found Daily Chico. Daily Chico is home to the 8 layer ice cream cone that has all of their changing flavors piled high on a cone. 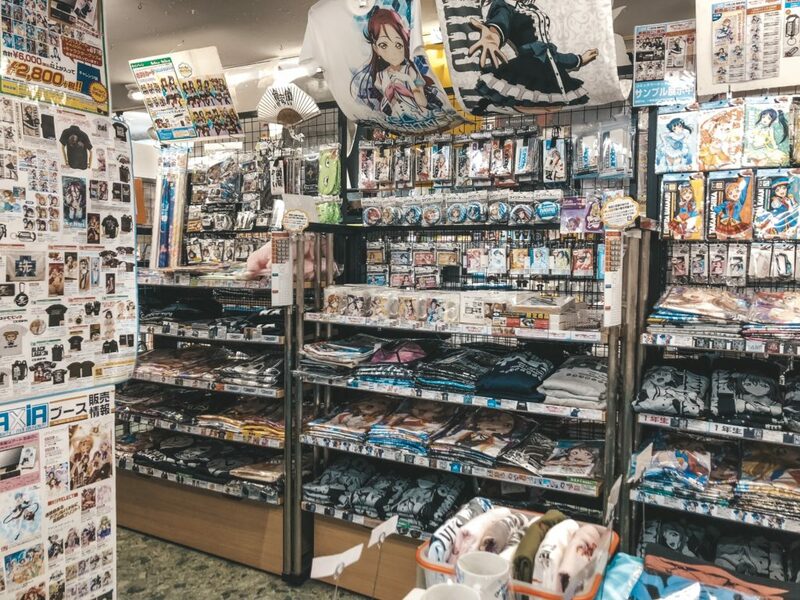 Address: It can be a bit tricky to find, located in the Nakano Broadway building basement floor (B1). Being such a big city we obviously didn’t get the chance to see everything. What would be your recommendations for dining and attractions for our next trip to Tokyo? What would you add to your Tokyo itinerary? I’ve not yet been to Japan but hope to get there in the next year or two. There are some great tips here I have noted down for when we do get there. Thank you. Wow! You really packed a lot into five days. We did the same when we were there since there was so much to do, see and eat. Also, I find it funny that you ate BBQ in Tokyo. We recently did the same in Helsinki and it was so good. This is such an exhaustive guide. Lovely pictures and a lovely write-up as well. This will help us in planning our trip to Japan slated in mid 2017. 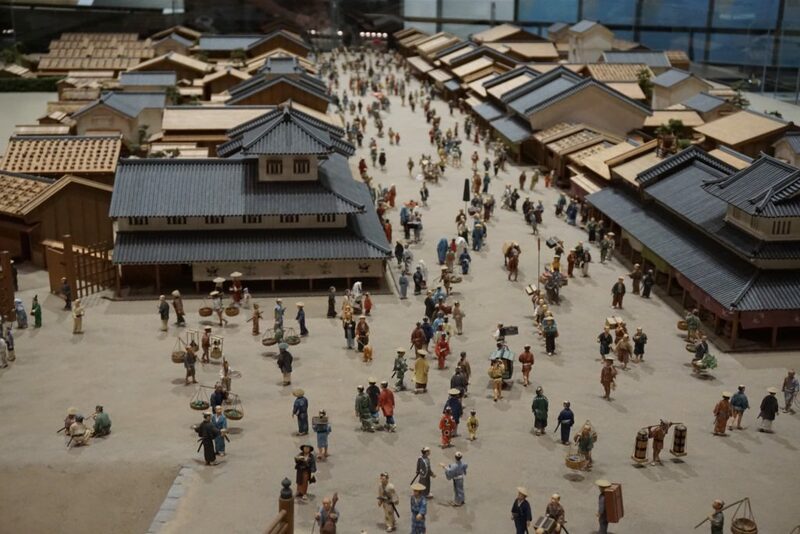 The Edo-Tokyo museum looks interesting. never been to Japan but this itinerary looks perfect for short trip. almost all the important places covered. i would love to visit japan soon. Thanks for sharing your awesome Tokyo itinerary. We’re planning a return trip to Tokyo next year. I lived there for 2 years , but that was a long time ago. I’m excited to see how it has grown and changed. I won’t have the luxury of a long slow travel next time and your itinerary is inspiring a big help. Sure thing, just let me know next time you plan to head out that way! What a great post! I’ve never been to Tokyo before but I would love to go. It seems like such an amazing city and you got some really great photos. Thank you Nathan! It was a great experience for the both of us. It’s such a fun place! Wow you did so much in 5 days!! how much did it cost you in total if you don’t mind me asking? 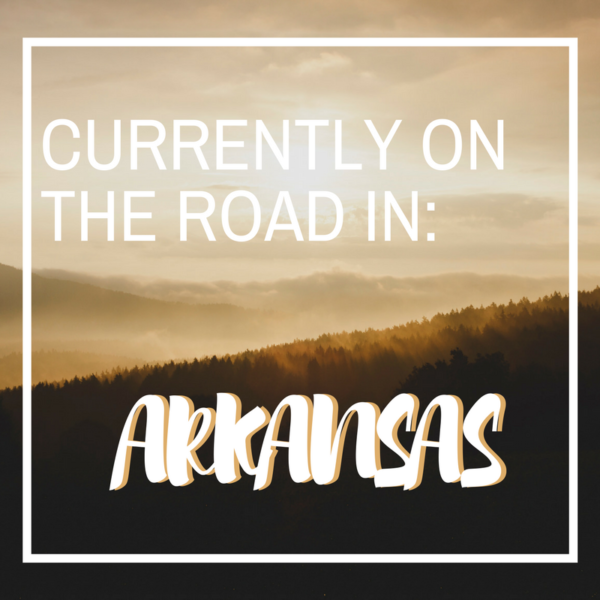 I’ll be going soon but am wondering how much I need to budget to do all that awesome stuff! Hi Joaquim! When are you heading to Tokyo? I’m so jealous. We’ll be heading back in 2018 and are hoping to spend more than 5 days! I definitely don’t mind you asking about the cost. Here is the breakdown as best as I can recall. Our hotel stay was technically costless because we used Marriott Rewards points but there are some awesome AirBnB accommodations in Tokyo and you could also look into capsule hotels. I would also look into the Ibis Styles or Mitsui Garden hotel properties. 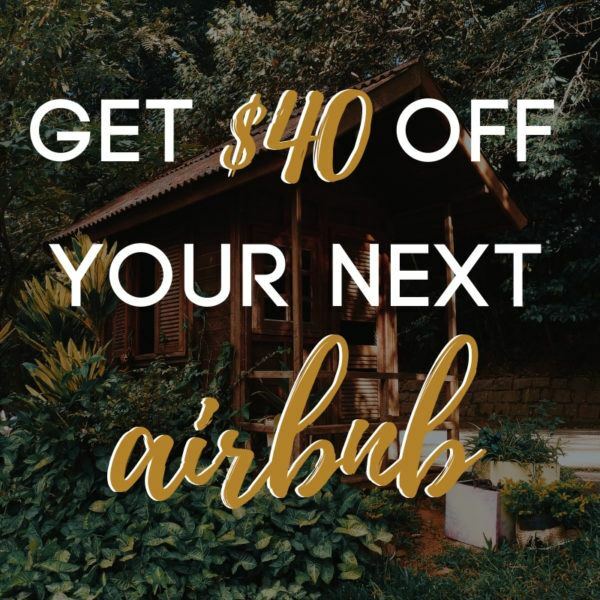 I’m not sure if they are in Tokyo but we stayed in those when visiting Kyoto and Hiroshima and they were more budget friendly in those cities ($49-$120USD/night in the previously mentioned locations). As for food, we were on the go in Tokyo because we were trying to see as much as we could so we ate at quick places. However, a huge perk of this was that they were extremely cheap and tasty meals! Without the cost of the food at Tokyo DisneySea we spent roughly 100USD. Most of our transportation was also covered because we had the JR Pass while we were visiting, however some of the trains and subways were not covered by the JR Pass. 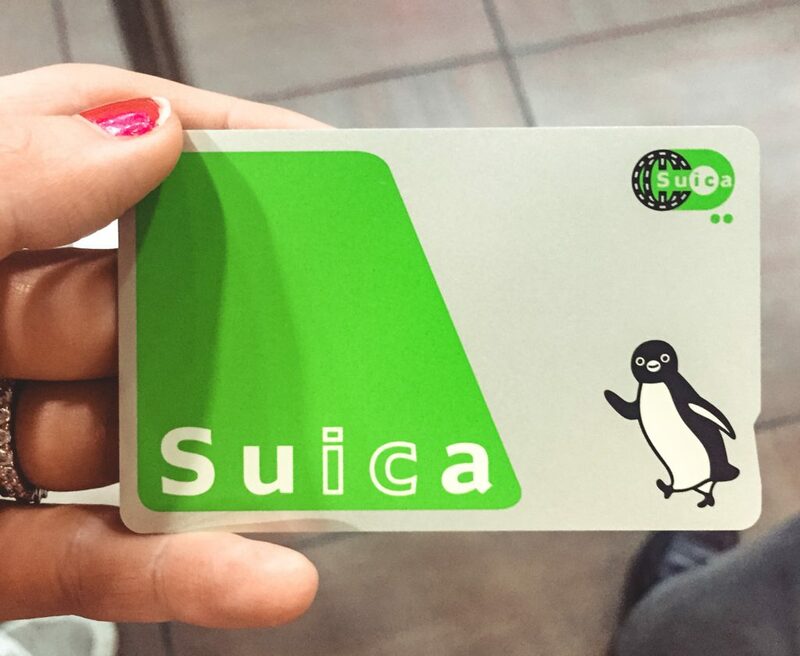 I would recommend a Suica card which you can get at most of the major stations in Tokyo. It allows you to add Yen to your card and pass through the stations quickly instead of buying tickets. Tokyo was definitely more expensive for us on the attractions! -Tokyo DisneySea was the most expensive attraction we visited in Japan at 7,400 yen/pp (roughly 68USD I believe at the exchange rate). 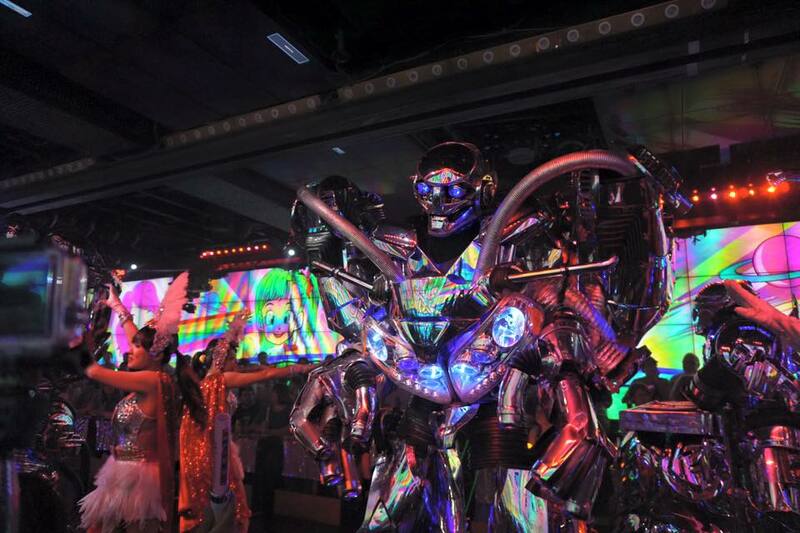 -Robot Restaurant we found tickets online before we left for about 50USD/pp. -Tokyo Tower: free to view from the bottom or the inside but you do have to pay to go to the top. So overall without counting a few souvenirs and the trip to Tokyo DisneySea and the Robot Restaurant our 5 days in Tokyo was roughly 200USD (including the attractions we chose to visit it was closer to 450USD). However, that doesn’t include the cost of the rail pass that we purchased to bring us to Tokyo from Kinosaki Onsen. Without the rail pass I would say each train ticket will cost you about 180-500 yen depending on where you go in Tokyo! I hope this helps you a get a better idea! 🙂 Please feel free to email us (pagesoftravel@gmail.com) if you have anymore specific questions! Wow, your itinerary for Tokyo sounds so awesome! I’ve only had the chance to spend less than one day in Tokyo on a long layover. I’d love to go back one day and explore more of the city 🙂 Thanks for sharing! Reminds me of my travel to Japan 2013 and since then i got into sushi 😀 Thanks for sharing. Love the Minnie Mouse ears! We had an amazing 5 days in Tokyo earlier this year and absolutely LOVED Tokyo Disney Sea and bought the ears as well! Must be done. We just ran out of time to see everything we wanted to in Tokyo. We had a few things we definitely wanted to try and do and also to buy (like all our ski gear from Tokyo’s ski gear district before we headed north to Niseko) which meant other things had to be sacrificed. Sigh. Cant wait to go back one day!